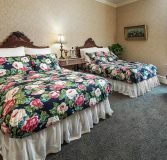 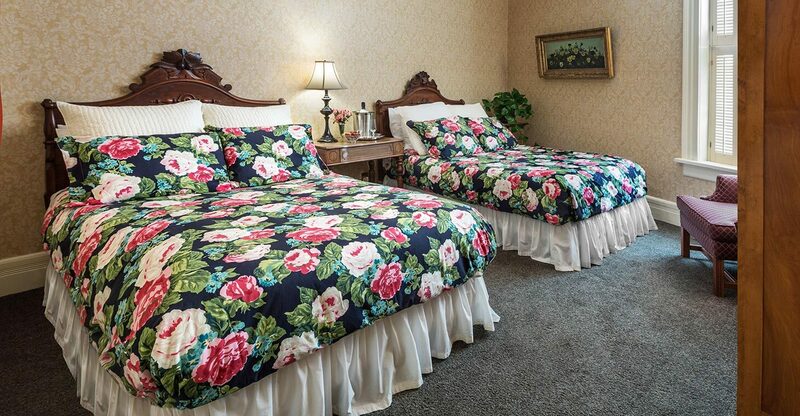 The F. Jaucke guest room is one of the most comfortable places to stay in Cedarburg, WI for guests needing separate beds. 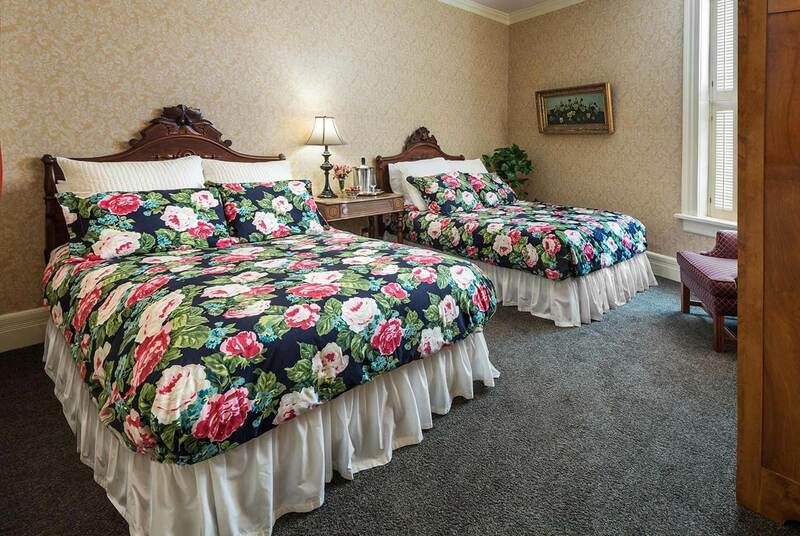 Two beautifully hand-carved Victorian headboards sit atop double beds, showcasing the period’s wood carving at its best. 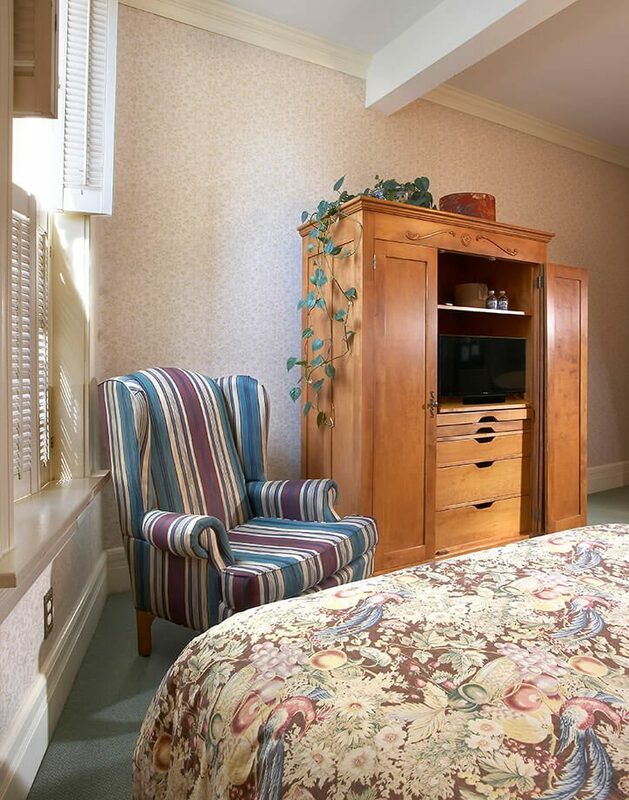 The spacious bath area is great for travel companions, with a standard tub and shower. 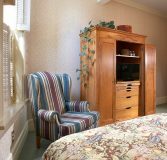 This room can accommodate two to four guests and is also a completely handicap accessible room in Cedarburg, Wisconsin.